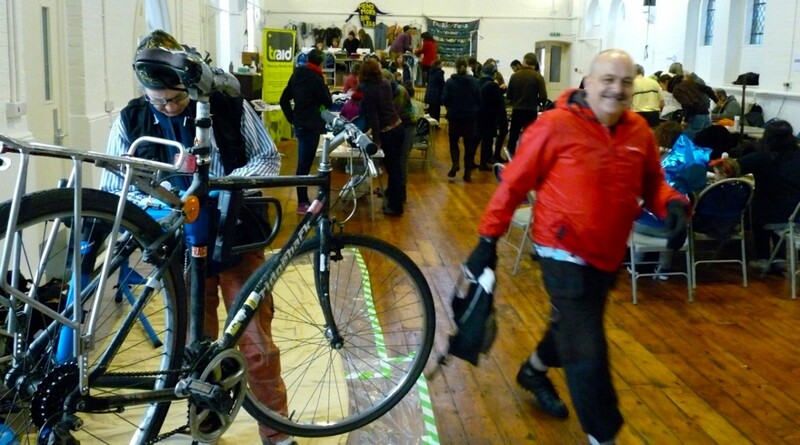 THE BIG FIX, billed as Hackney’s first festival of repairing, is being held in Dalston tomorrow. Bicycles, electronics and electrical goods, clothing, chairs… the kind of things that we in our consumerist world throw away but would be quickly repaired in a third-world country. They will be tackled – and at no charge. Advice if not lessons will be given on making things and chair repair — even on moths, and how to keep the carpet-munching larva at bay. the Restart Project and Hackney’s recycling team will answer questions on waste prevention and re-use. Restart was founded by Ugo Vallauri and Janet Gunter in 2012. Restart Parties are now held all over the UK and as far afield as Italy, Japan and Canada. Perhaps they could have a go at the church’s broken stained-glass windows, missing clock and broken barometer. * The Big Fix, St Mark’s Church hall, Colvestone Crescent, off St Mark’s Rise, Hackney E8 2NJ, Saturday, 21 November 2015, 11am-4pm. Good disabled access. Free.